There are a few East German films that, in spite of the political differences, are acknowledged as classics on both sides of the Iron Curtain. Stars, The Murderers Are Among Us, and The Rabbit is Me have all entered that exclusive group, but—with the exception of Stars—these films did not receive much attention until after the wall fell. Jakob the Liar (Jakob, der Lügner), on the other hand, was immediately recognized as a classic. So much so that it was nominated, against all odds, for an Academy Award, and Hollywood felt the need to create its own heavy-handed version starring Robin Williams. Jakob the Liar is the story of people living in a Jewish ghetto, near the end of WWII. They are always in imminent danger of being shipped off to the concentration camps, and the question that’s on everyone’s mind is: Will the Russians get there before its too late? When a man named Jakob Heym overhears that the Russian troops aren’t far away, he tells everyone that he heard it on his secret radio. In fact, he heard it while he was waiting to be chastised at the local military headquarters. As time goes by, the lie gets bigger and everyone in the ghetto turns to him for hope. We know nothing good can come of this scenario, but the film manages to maintain a fine balance between hope and tragedy. This is thanks largely to the deftly written screenplay by Jurek Becker. Becker first wrote the story as a film script in 1968, but DEFA—still under the influence of the 11th Plenum’s rules against anything even remotely provocative—nixed the idea. Becker turned his screenplay into a book, and the book proved to be popular on both sides of the wall. After Erich Honecker took over the reins of government from Walter Ulbricht, the restrictions against films were relaxed a bit. Becker’s screenplay was dusted off, and the film was greenlighted for production. Jurek Becker was born in Łódź, Poland, probably in 1937 (his actual birthdate is something of a mystery). Being Jewish, he and his family were moved into the Łódź Ghetto in 1939, and later shipped out to concentration camps. He and his mother ended up first in Ravensbruck, then in Sachsenhausen at the Königs Wusterhausen sub-camp, where his mother died of malnutrition shortly after the camp was liberated. His father was sent to Auchschwitz, and miraculously survived. Jurek was reunited with his father after the war and the two of them moved to the Soviet Sector because his father felt that the Russians were doing a better job of curbing anti-Semitism than the western allies. At first, the young man fit well with East German society, but while still at school studying philosophy, he got in trouble for his contrary views and was expelled. Becker spent the next few years working as a freelance writer, writing articles and screenplays. Jakob the Liar was his first novel, but was followed by many others, including The Boxer (Der Boxer), Sleepless Days (Schlaflose Tage), and Bronstein’s Children (Bronsteins Kinder), all of which have been made into movies (primarily for German television). Frank Beyer directed Jakob the Liar. Beyer was well-respected for his WWII films, Königskinder (Star-Crossed Lovers), a politically-charged love triangle during WWII; Carbide and Sorrel, a comedy set in the aftermath of the bombing of Dresden; and Naked Among Wolves, the first DEFA film to examine life inside a concentration camp. In the wake of the 11th Plenum, Beyer’s film, The Trace of Stones, became the biggest bugbear of the East German government and Beyer spent the next ten years working at the Dresden State Theater, and later in television. Jakob the Liar was also originally intended for television, but its popularity led to theater distribution. Jakob the Liar shows the sure hand of a director who, through earlier experimentation and a variety of different film projects, has mastered his craft. Every scene is composed to tell the story as economically as possible. The experimental camera angles and scene compositions of his earlier work—most notably Königskinder—have been toned down in favor of straight-forward storytelling. 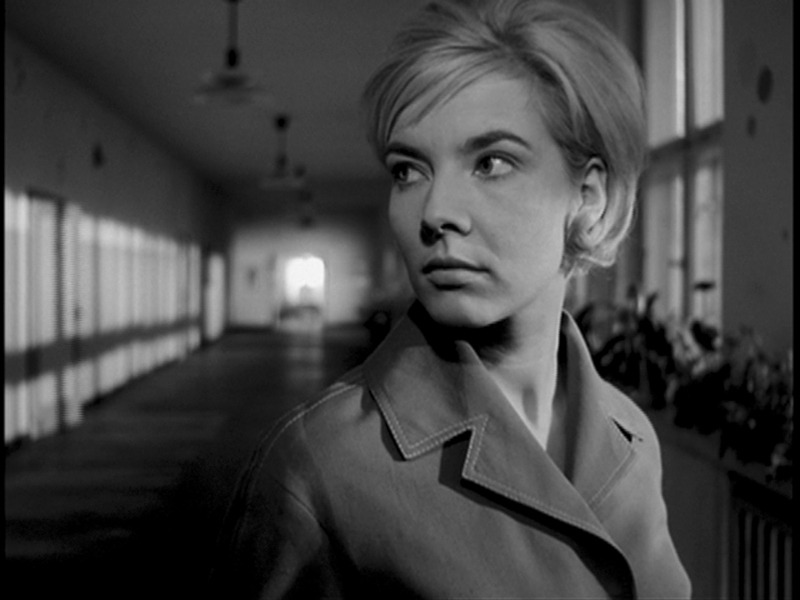 The cinematographer was Günter Marczinkowsky, who had shot every Beyer film since Eine alte Liebe (An Old Love) in 1959. Here, he and costume designer Joachim Dittrich work from a palette of grays, browns and olive drabs that create an appropriately oppressive atmosphere. In 1980, Marczinkowsky left East Germany to work in the west, where he continued in television production until 1989. 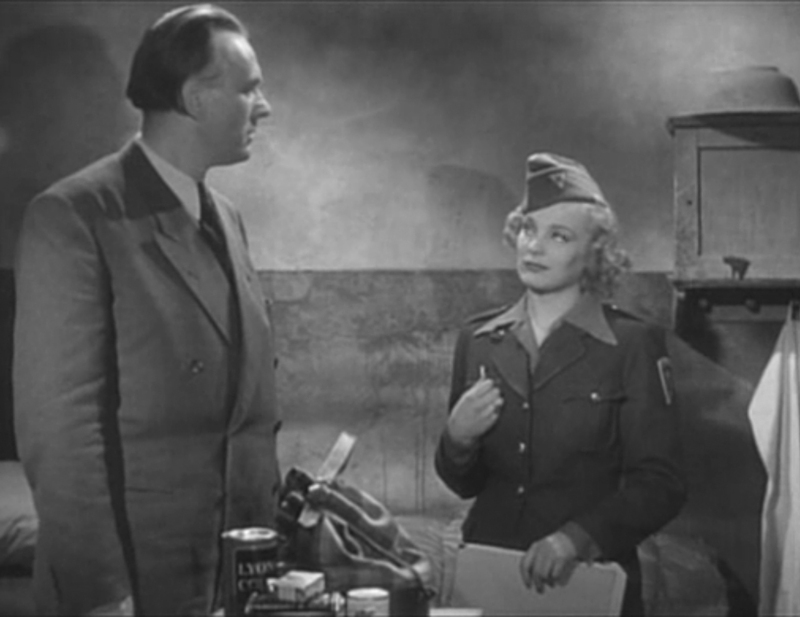 After success of Jakob the Liar, Becker teamed up with Beyer a second time to create The Hiding Place (Das Versteck), starring Manfred Krug and Jutta Hoffmann. It was during the production of this film that Wolf Biermann was forcibly expatriated. Several popular East German film people signed a letter of protest about this. Among the signatories were Beyer, Becker, Hoffmann and Krug. The SED, running scared by this time, ended up driving most of these people—along with Angelica Dömrose, Armin Mueller-Stahl, and several other of East Germany’s brightest talents—out of the country. Becker was given a two-year visa, which he used to move to the United States and teach for six-months. After that he moved to West Berlin and continued writing, although his books were no longer published in the GDR. Beyer found himself in the doghouse once more, but, remarkably, he was given a work permit to make films for West German television. Nonetheless, he did not give up his East German citizenship and continued working on both sides of the border, making a few more feature films for DEFA before the wall came down. After the Wende, Beyer worked primarily in television. He has since retired. His last film was the TV-movie, Abgehauen (roughly translated: Beat It), based on Manfred Krug’s autobiographical account of the events that led to that actor’s expulsion from the GDR. Jakob the Liar’s minimal but haunting score was by Joachim Werzlau. Beyer and Werzlau had worked together many times before, starting with Beyer’s first feature film for DEFA, Zwei Mütter. Zwerlau was born to make music. His father was an orchestra musician who taught him to play piano and violin, and the boy was already trying his hand at classical composition at the age of twelve. At first he did not study music, but began working at the Blüthner piano factory. later he was accepted at the Leipzig Conservatory of Music, but was kicked out because of his left-leaning associations. After the war he was a member of the Cultural Alliance for Democratic Renewal of Germany and composed “Weil Wir Jung Sind, Ist Die Welt So Schön” (“Because We Are Young, The World Is So Beautiful”), a song frequently sung at FDJ meetings (Freie Deutsche Jugend, or Free German Youth, the official socialist youth movement of the SED). Jakob the Liar was Zwerlau’s last film score. Like Simeon Pironkov’s score for Stars, its inspiration comes from Jewish folk tunes and is hauntingly melancholy. 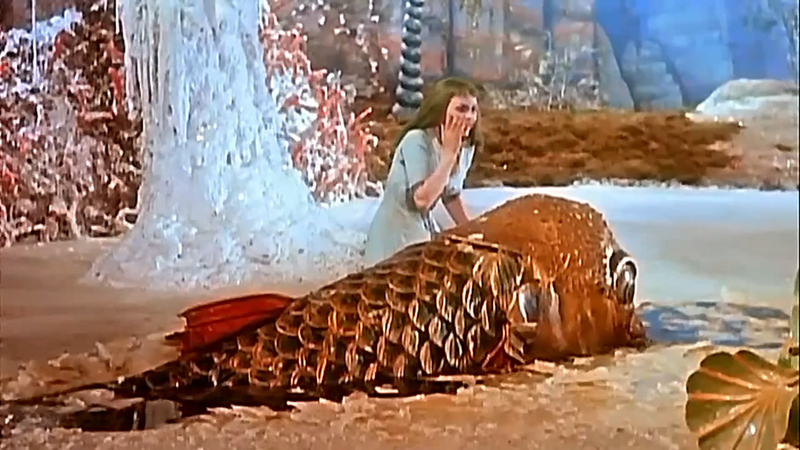 After this film, Werzlau concentrated on his classical compositions, in particular, his opera, Meister Röckle, based on the book by Ilse and Vilmos Korn that was adapted from a version of a old fairy tale that Karl Marx had re-interpreted. No examination of Jakob the Liar would be complete without mentioning the film’s exceptional cast. To play the lead, Beyer cast Vlastimil Brodský, a Czech actor whose sad-sack expression was perfect for the part. The Czech spoke German very badly, so his voice was dubbed. Scenes of dialog between Brodský and other actors were reportedly very difficult for all involved. Sadly, Brodský committed suicide in 2002. Most of the leading actors in the film went on the have successful careers in unified Germany. Among them, Henry Hübchen and Blanche Kommerell, who played the young lovers, Mischa and Rosa, and, of course, Armin Mueller-Stahl, who has the singular distinction of appearing in both film versions of the story. 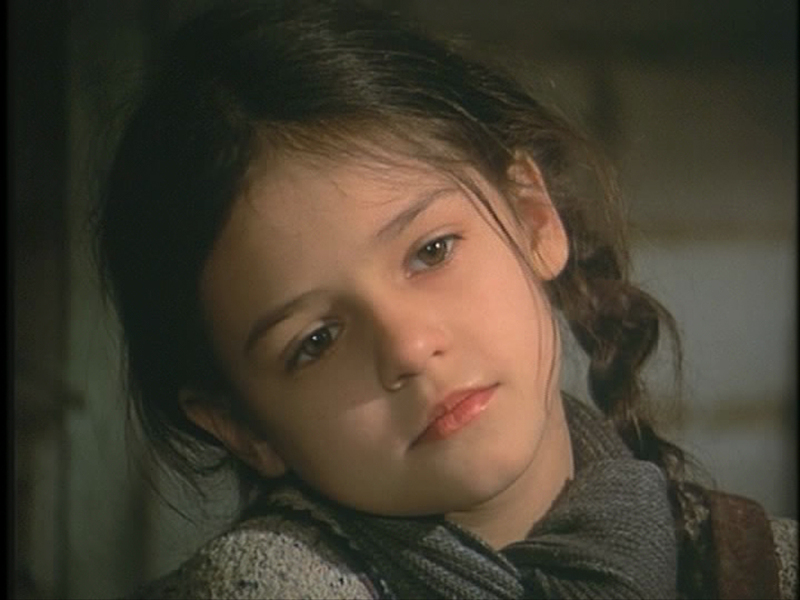 Worthy of special mention is the charming performance by Manuela Simon as the young girl, Lina, who serves as the last symbol and childhood innocence in the ghetto. It is her only film performance, and it is a heartbreaker. 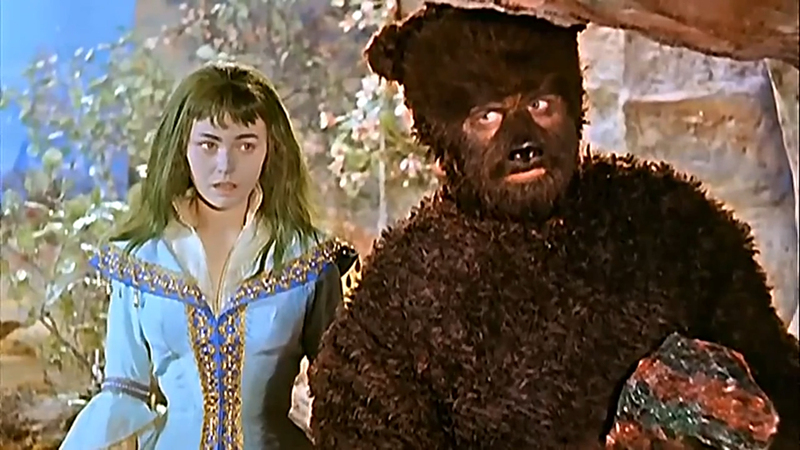 Although the film did not win the Academy Award (that honor went to Jean-Jacques Annaud’s Black and White in Color), Frank Beyer won the Interfilm Award for his directing, and Vlastimil Brodský won the Silver Bear for best actor at the Berlin International Film Festival in 1975. The Holllywood version of the story went unnominated by the Motion Picture Academy, but Robin Williams did garner a Golden Raspberry award nomination for worst actor (he lost to Adam Sandler in Big Daddy). Film noir is not a term that is usually associated with East German cinema. It is used most often when discussing the Warner Brothers crime films of the 1940s. Noir comes with certain rules that must be followed. The main ones are: characters whose complexity keeps them from falling into easily identifiable categories of good and evil; atmospheric use of shadows and unusual camera angles that serve as signifiers for the moral choices that the characters must struggle with; and usually—though not always—a crime or other tragic event. One of the best-known and most interesting examples of an East German film noir is The Second Track (Das zweite Gleis), directed by Joachim Kunert. Based on a story by the director and the prolific German author, Günther Kunert, The Second Track starts with an incident in a trainyard in which yard inspector Walter Brock catches two men trying to steal goods from one of the boxcars. After one of the men is apprehended, Brock suddenly changes his tune and claims he can’t identify the man. The thief, a man named Erwin Runge, knows he has seen Brock before, but can’t remember where. He sends Frank, his young partner-in-crime, out to seduce Vera, the inspector’s daughter, in hopes of finding out just who Brock really is. The young thief gets emotionally involved with the daughter and the two of them go off to find out what happened to her mother. Pretty soon, all the dark secrets of the past come bubbling to the surface, for both Brock and Runge. The Second Track was made in 1962 and released just a little over a year after the wall went up. Although it was seen by West Germans and Americans as a symbol of oppression (quite understandably), the wall also afforded new opportunities for creative freedom in the East German film community. The GDR was anxious to make a point that the wall was built to stop the west from trying to destroy the East German economy and morale. It was important to show that the wall had nothing to do with oppression, and to this end, many restrictions on filmmaking were eased. For the more imaginative directors, this was a time to stretch their wings. It was during this period that we saw Konrad Wolf’s Divided Heaven, which presaged the New German Cinema by several years. It was also when Gottfried Kolditz reintroduced the musical to East Germany with Midnight Revue and Beloved White Mouse. For Kunert and his cinematographer, Rolf Sohre, it was an opportunity to demonstrate what they could do when left to their own resources. Like any good film noir, the characters are complex and hard to categorize. Frank is a thief, but he is also the person that seems the most interested in finding out the truth. Likewise, Walter Brock is basically a good man, but he has been lying to his daughter all her life in an attempt to hide his shameful past. Vera is the most innocent person in the story, but even here our introduction to her is from a colleague who describes her as a block of ice. Even the venal Erwin Runge becomes more complicated when his ex-wife explains that he was once a good man who was changed by the war. The character truest to the film noir genre is Frank. Like Philip Raven—Alan Ladd’s character in This Gun for Hire—he is a man on the wrong side of the law, who, through his love for a woman, comes to do the right thing. The actor, Horst Jonischkan, was primarily a stage actor (as was Albert Hetterle, who played Brock). Jonischkan appeared in several DEFA productions, most notably, The Song of a Trumpeter (Das Lied vom Trompeter), in which he portrays a young trumpet player who dies for the cause (the cause being communism, of course). Director Joachim Kunert got his start in films as an assistant-director at DEFA, where he worked for six years before directing Ein Strom fließt durch Deutschland (A River Runs Through Germany), a 30-minute color film about the Elbe River. His documentary short, Martin Andersen Nexø, about the Danish author of the same name, was banned in West Germany. It was during the early sixties that Kunert was able to really show what he could do with The Second Track and his next feature, the extremely popular film The Adventures of Werner Holt. After the 11th Plenum, things got a bit more difficult for him. While attempting to make a film from Franz Fühmann’s book on Hans and Sophie Scholl, Kunert ran afoul of the authorities and spent the rest of his career making movies for television. As a fan of the work of author Anna Seghers, he has made three films based on her novels (Die Toten bleiben jung, Die große Reise der Agathe Schweigert, and Das Schilfrohr), and a segment for another film (Das Duell segment in Aus unserer Zeit). The cinematography for this film was by Rolf Sohre, and it is sensational. The dramatic shots of the trains pulling in and out of the yard and roundhouse are reminiscent of O. Winston Link’s moody railroad photographs. Many scenes in the film are bathed in light and shadows, including that reliable old noir trope: the striping of venetian blinds at night. Faces often are either hidden or partly obscured by darkness, echoing the dark secrets that hide in the pasts of the two older men. Sohre grew up around cameras and film. His father was a projectionist and owned a movie theater for a time, while his uncle owned a photography studio in Dresden. As a young man, he worked for both men, learning everything everything there was to know the art of photography and the mechanics of movie equipment. In The Second Track, he pours his knowledge of these things into every frame. Although several scenes take place in darkened rooms, the shots are never muddy or obscure. Every frame of this film is as clear as crystal. Toward the end of the GDR’s existence, Sohre left DEFA and took up photography full time. He lives in Nuthetal, a small municipality southeast of Potsdam. The music for the film is by the Slovakian composer, Pavol Simai. Simai composed the music for a solo harp, played by the East German classical harpist, Jutta Hoff. Simai explores the harp in every way imaginable, having Hoff strike, pluck and even scratch the strings. It is one of the strangest film scores from East Germany—a country already notable for some very odd film scores. Simai only composed music for a few movies before bowing out to continue his studies. In 1968, he moved to Sweden, where he took up residence in Göteborg. There he taught and composed pieces for orchestra and guitar. He is best known for his “Impressions for Guitar” as performed by Czech/Swedish guitarist, Josef Holecek. In 2001, a CD of his classical pieces was released under the title, “Key.” It is currently out of print. During its existence, DEFA, and its television counterpart DFF (Deutscher Fernsehfunk), produced dozens of Krimis (crime films). Stories about criminals and spies were very popular, and many of the DFF Krimis are available in Germany in boxed sets. The quality of these films vary greatly. A few films from the GDR can rightfully be considered film noir, but none is more deserving of the title than this one. As its title suggests, a recurring image throughout Rotation is the wheel. The wheel in this case appears in various forms, from the cylinders of the printing press that acts as the film’s Greek chorus, to the carousel at a fair where Hans Behneke, the film’s protagonist, is forced to work during the Weimar Republic’s economic collapse. When we first see it, the printing press is running news of the battle for Berlin. The war is almost over, and we are treated to some remarkably effective battle sequences. Hans Behneke is standing in a prison cell, listening to the guns and bombs outside. Why he is there, we do not yet know. From here, the story flashes back to the end of World War I, when Hans, young and still unmarried, is returning from the Western Front. The film follows his story through his marriage, and the birth of his son, to the economic travails of the Weimar Republic and the ensuing paranoia of the Third Reich, to the end of World War II. While the film is mostly about Hans, it is also about his son, Hellmuth, who reaches school age just as the Nazis comes to power. Hellmuth is properly indoctrinated into the Nazi way of thinking and soon finds himself at odds with his more liberal parents. It doesn’t help that his uncle is fighting with the resistance. Rotation examines a subject that is rarely discussed: the Hitler Youth (Hitlerjugend). Inculcated with Nazi doctrine at an early age, Hitler Youth members were the most virulently pro-Nazi people in Germany. On many occasions they were known to have turned in their own parents when mom or dad would say something derogatory about der Führer. Betraying one’s own family for the Reich was seen as an act of the highest honor. It demonstrated that the child understood that nothing—not even blood—was more important than the fight for the Fatherland. At the end of the war, it was the Hitler Youths who fought the hardest, even after Hitler had killed himself rather than face the music. Rotation follows Hellmuth—unfortunately born just in time to get both barrels of Nazi doctrine—from his early indoctrination, through his eventual realization that everything he learned was wrong (ah, we’ve all been there, haven’t we?). To the film’s credit, it does not place all the blame on Hellmuth for the travails he visited on his parent. It recognizes that he too was a victim of the Nazis. Director Wolfgang Staudte is better than the average filmmaker at using the camera to create a symbolic narrative. He had already proved this with his use of the ruins of Berlin to show the internal desolation of the tormented protagonist in The Murderers are Among Us. In Rotation, his use of the aforementioned wheel motif is only one example of this. Again and again in the film, people are blocked by bars and lattices, suggesting that everyone in the Third Reich is trapped in one way or another. The wooden slats on Hellmuth’s crib morph to the ornate iron gates that keep the rich separated from the working class, to the poles holding the protest banners of striking workers, and finally to the bars of a holding cell. In a pivotal scene, victims of a flooded subway shelter are shown trapped behind a a steel grate as the water rises to drown them. 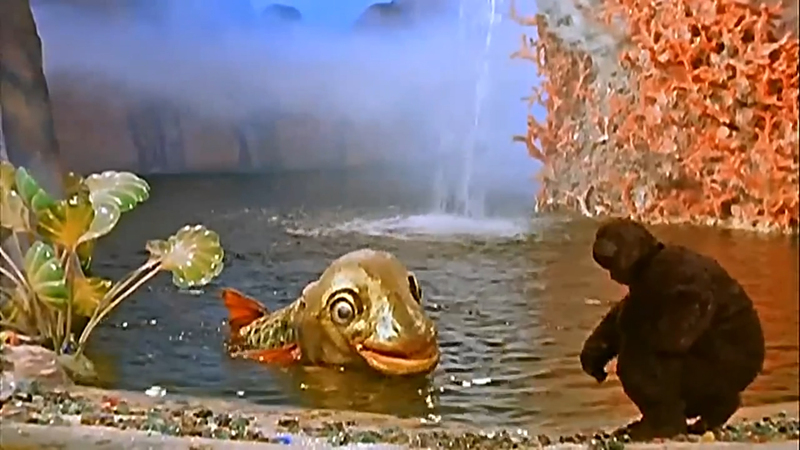 The scene cuts to a bird trapped in a cage that is slowly sinking into the same murky water. The message is clear: the restrictions we place on our freedom will first constrain us and eventually kill us. Early scenes between Hans and his wife are repeated later with Hellmuth and his fiancée, suggesting that the rotation in the title is that of life itself. Staudte got his start as an actor at UFA during the Weimar Republic. He appeared as an extra in the classic, The Blue Angel (Der blaue Engel), and did the German voice-over for one of the lead characters in All Quiet of the Western Front. He was already starring in films when the Nazis came to power. Coming, as he did, from an acting background, Staudte understands the relationship between the performance and the camera better than most directors of the time (although he did tend to err on the side of melodrama). Staudte started his directing career during the Third Reich. His first feature film, Akrobat Schööön!, was a big hit in Germany when it came out. Thanks to its lack of political perspective, it continued to be shown on TV in Germany after the war. His next film, Der Mann, dem man den Namen stahl (The Man, Who Had His Name Stolen), did not fare as well. As with Akrobat Schööön!, Der Mann, dem man den Namen stahl was a comedy. In it, two men who are given the same identity, which causes all sorts of problems and funny situations. Goebbels had it banned, probably due to its central conceit that the state was capable of making such a mistake. Staudte must have had strong feelings about this movie because he ended up remaking after the war as Die seltsamen Abenteuer des Herrn Fridolin B. 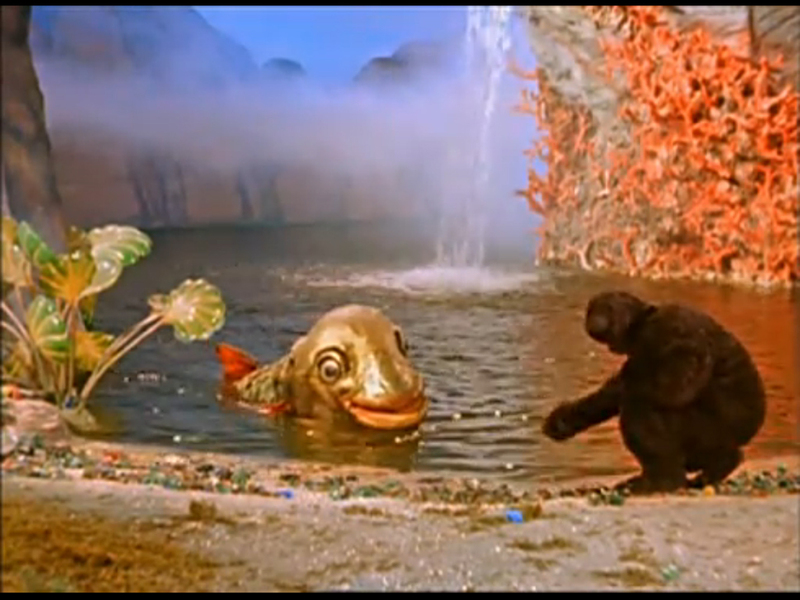 (The Adventures of Fridolin), using footage from the original film. In the early years of the German Democratic Republic, it looked like Staudte was slated to be the most prominent filmmaker on the East German filmmaking scene. He got the ball rolling with The Murderers are Among Us, the first post-war German film; and a few years later would direct The Story of Little Mook, still the best selling film to come out of the GDR. But disagreements between him, the East German officials and Bertolt Brecht led to his defection to the west (for more on this, see The Story of Little Mook). Cinematographer Bruno Mondi was already a well-respected cameraman when the GDR came into existence. He had gotten his start back in 1921 with Fritz Lang as a camera assistant on Destiny. After the Nazi’s came to power, Mondi never stopped working, and was responsible for filming Kolberg, the most lavish color production of the Third Reich. After the war, he made films for DEFA, and then fled to the west, where his knowledge of color was put to good use in the stunningly photographed (and stunningly banal) Sissi films. During his long career, Staudte directed nearly every type of film, from light comedies to heavy dramas. During the seventies, he worked largely in television, directing episodes of the popular crime dramas, Der Kommisar, and Tatort. He worked right up until his death. His last film, a TV-movie called Der Snob (The Snob), was released two months after his death. Nonetheless, there are a few post-war German movies (both east and west) that can hold their own with the best that UFA had to offer. One of these is The Axe of Wandsbek (Das Beil von Wandsbek), made in 1951, when the GDR was barely two years old. Based on Arnold Zweig’s book of the same name, The Axe of Wandsbek is a fictionalized account of the executions of four men who were wrongly accused or murder to cover up the actions of the SA and the police in the Altona borough of Hamburg. The event, which took place on the 17 of July, 1932, is now known as the Altona Bloody Sunday (Altonaer Blutsonntag), and the executions that followed it were the first official executions of the Third Reich. Rather than write about the actual event, Zweig moved the story to Wandsbek, another borough of Hamburg, and turned his attention to the man who served as the executioner. In Zweig’s story, that man is a poor butcher named Albert Teetjen who is finding it hard to compete with the large, corporate butcher shops. To help modernize his business, Teetjen agrees to execute the convicts (the official executioner is, supposedly, sick). For Teetjen, the executions offer a chance to get out of debt and buy that new freezer he’s been wanting. For the local Nazis, the men are an embarrassment, and Hitler will not visit Hamburg until they are dead. The moral center of the film is Dr. Neumeier, a well-respected female doctor who tends to the poor in Wandsbek. As a doctor, she is able to mingle freely with all classes of people, and it is through her eyes that we see most of the events unfold. She has scrupulously avoided taking sides in the disputes between the Nazis and the Communists, but is horrified when she learns the facts of the case against the four men. She makes some last minute attempts to win reprieves for them, but it is too little too late. The machinery of history is on the move, and any attempts to stop the Third Reich through the normal channels are doomed to fail. Zweig, a pacifist and a Jew, wanted to show that blaming the man who wielded the ax was too facile; that he is merely the most visible symptom of a moral sickness and complacency that was eroding the German soul. Dr. Neumeier speaks for Zweig and the rest of us when she observes that we are all guilty. Zweig’s book was first published in Hebrew in 1943, with the German edition appearing in 1947 (not coincidentally, a few months after the conclusion of the Nuremberg Trials). By that time, he was already a well-respected author in Germany and the United States. His 1927 anti-war book, The Case of Sergeant Grischa, was a worldwide best-seller and is still in print in several languages. As a young man, Zweig became a fan of Sigmund Freud and his ideas on psychotherapy. For many years, the two men corresponded, and Freud’s theories pervaded all of Zweig’s later books. Faced with the mounting anti-Semitism provoked by the Nazis, Zweig left Germany. A Zionist at the time, he decided to settle in Palestine. In 1948, he was invited by officials to return to the Soviet Zone, which would later become East Germany. By this time, he had lost faith in Zionism, preferring a more egalitarian, socialist solution, and saw the potential that East Germany had to offer in this regard. He moved to the GDR, where he spent the remainder of his life, no doubt disappointed at how badly the East Germany authorities botched the socialist ideal. He died in 1968 after years of ill health. But it wasn’t simply Zweig’s original story that made the film so memorable. There were already several DEFA films with complex and interesting stories (e.g., The Murderers are Among Us, Rotation, and The Council of the Gods). 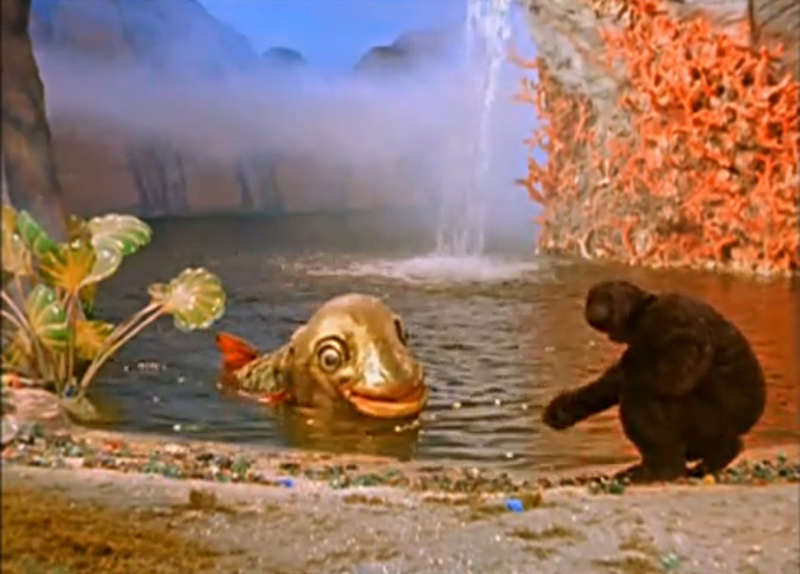 Some of the credit belongs to Falk Harnack, whose dramatic use of lighting, music, and symbolism harked back to the UFA films of old. The Axe of Wandsbek was Harnack’s first motion picture. His background in theater certainly helped him here, but his use of close-ups and cross-cutting indicates that Harnack had been paying close attention to the narrative techniques of cinema as well. Falk Harnack’s own story is no less interesting than that of his movie. He came from a uniquely talented family. His mother was a well-respected painter, and his father was a professor of literature; his brother Arvid worked as a resistance fighter within the Nazi party, and was executed, along with his American-born wife, on December 22, 1942. Falk was close friends with Lilo Ramdohr, a prominent member of the White Rose (Weiße Rose), the Munich-based resistance group of which Sophie Scholl and her brother were members. Ramdohr and Harnack were arrested and detained for a time, but eventually were let go due to lack of evidence. Harnack, still a member of the armed forces at this time, was shipped off to Greece. Upon hearing from one of his superiors that he was about to be re-arrested, Zweig deserted the army and joined the Greek resistance. After the war, Harnack became the artistic director for DEFA from 1949 until 1952. When The Axe of Wandsbek opened in East German cinemas, it was a big hit, and people lined up to see it. It was on its way to becoming one of the most successful films in DEFA’s history when word of the film reached the Soviets, who were still calling the shots in East Germany. The Soviets weren’t happy about the film. They felt that it was too sympathetic to the Nazis—an absurd claim, considering this film’s pedigree. 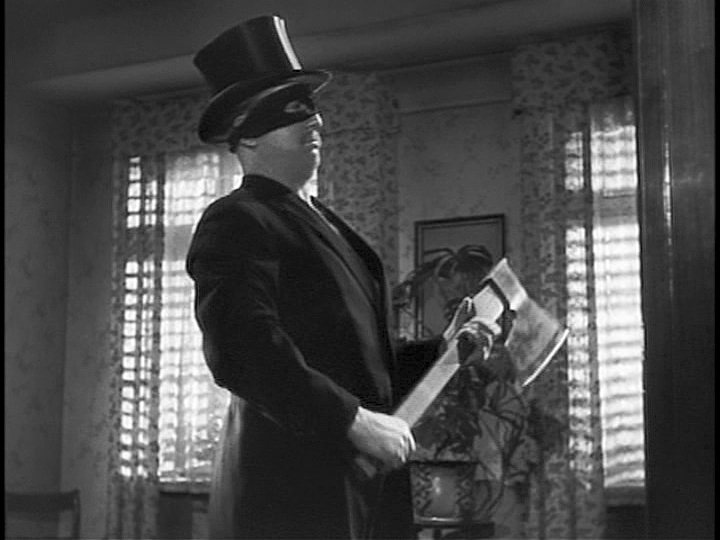 The Axe of Wandsbek was pulled from circulation, returning to the screens in 1962 in a heavily censored version. After the officials banned it, Harnack lost faith in his ability to make the kind of movies he wanted to in East Germany. Although he moved to the West to continue his career, he maintained his socialist beliefs, and never spoke out against the GDR. He continued to make films that examined Germany’s Nazi past, including The Plot to Assassinate Hitler (Der 20. Juli), and The Restless Night (Unruhige Nacht). Sadly, almost all of the films he made from 1960 on were made-for-TV movies. Harnack retired from filmmaking in 1976. He died in 1991. A big part of The Axe of Wandsbek’s effectiveness is the cinematography by the late Robert Baberske. Baberske was one of the best, most talented cinematographers on the DEFA payroll. He got his start as assistant to Karl Freund. One couldn’t ask for a better teacher. It is not an overstatement to say that Karl Freund shaped motion picture and television cinematography in the twentieth century. His work on classic UFA films, such as The Golem, Metropolis, and The Last Laugh is still considered some of the best in the history of film. When Freund left for Hollywood (wooed there by studio officials, ahead of Hitler’s rise to power), Baberske took his place. Baberske had already distinguished himself as a fine cinematographer by the time the Nazis came to power. His work on films such as Berlin: Symphony of a Great City (Berlin: Die Sinfonie der Grosstadt) and Kameradschaft, has stood the test of time. Most of his work during the Nazi era was restricted to light comedies and romance, although he does have the unfortunate distinction of being the man who filmed, The Rothschilds (Die Rothschilds), one of the more virulently anti-Semitic films of the time. After the war, he made one film for a West German production company before moving to the East. He continued to work until 1956 when he developed a brain tumor. After a protracted illness, he died in 1958 and was buried in a cemetery in the Neu-Kölln district of Berlin. The Axe of Wandsbek was also Erwin Geschonneck’s first starring role. Geschonneck—a member of Bertolt Brecht’s theater troupe—would go on to make some of the best films to come out the GDR, including Naked Among Wolves, Carbide and Sorrel, The Sun Seekers, and Jakob the Liar. In 1981 Geschonneck was honored for his contributions to East German cinema. When asked which films he would like to have screened for the event, he requested the original, uncensored version of The Axe of Wandsbek, effectively ending the state’s ban on the film. *Ironically, the United States effectively duplicated this particular bit of Hitlerian insanity with Joseph McCarthy and the HUAC hearings. In an attempt to root out communists, McCarthy and his team of goons managed to drive many talented people out of Hollywood. Although hardly comparable to the enormity of events in Germany, there was a noticeable drop in the quality of the films coming out of Hollywood for the first few years after this purge.